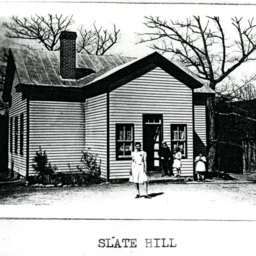 Photograph showing the Slate Hill School in Fort Valley as it appeared in a 1939 insurance survey of Shenandoah County School. In the report the school is described as a "one story frame building with a tin roof, stone foundation, wood sheeting finish on the walls and ceiling, oil lamp, stove heat, brick chimney built from the ground." It had one class room, two coat rooms, and was valued at $900. 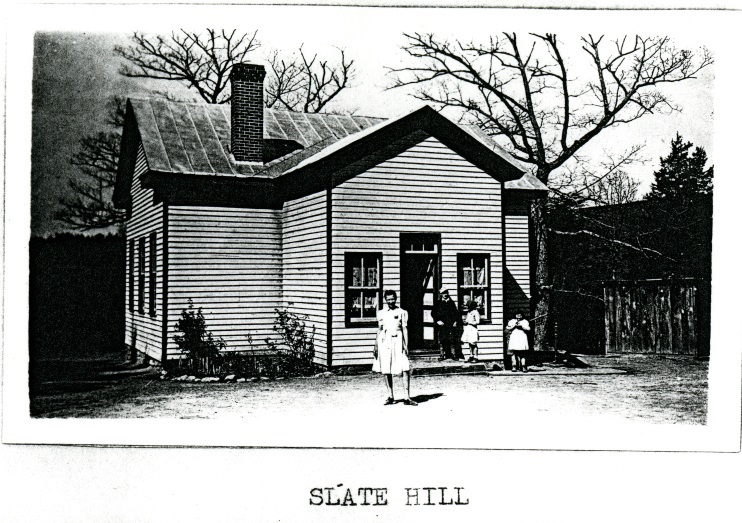 Haun-Magruder Insurance Company (Woodstock Va), “Slate Hill School,” Shenandoah County Library Archives, accessed April 22, 2019, http://archives.countylib.org/items/show/11743.